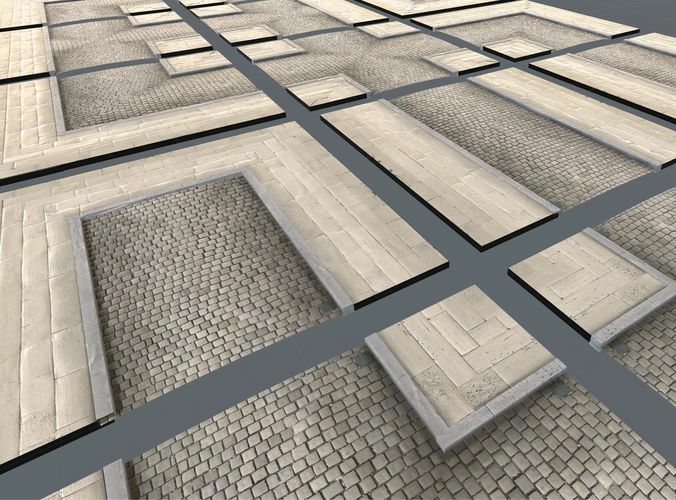 If you are looking for an easy way to create complex street systems in the cobblestone 19th century style, this package is for you. The pack contains five distinct shapes of street tiles that can be clipped together in a modular and seamless way. A texture (2048x2048) and a corresponding normal map is included. Cool price, but too glossy, and too obvious seems on textures.